This morning I woke up with such JOY and excitement. There may be Christmas toys and boxes everywhere at my house but I'm happy! It's all about perspective and I see the mess as a blessing not a burden. You think I'm crazy right? You see, the mess is a blessing because we are able to buy gifts for us and others. There isn't any lack and God provided everything we needed to celebrate his son's birth all the way down to Christmas dinner! I dragged the tree out last night, and I'm left with cleaning up a million pine needles and finishing putting up the inside décor while drinking my coffee. Something in my spirit says that there is much to look forward to in 2017. Don't look back. The year 2016 was by far one of the best years of my life. God blessed abundantly and met every need. Now, I'm not saying that to brag. I'm saying that to show you that God really is faithful! If you ask you will receive and that's exactly what I did. I put pressure on God's word. So for today, let's talk about what God's been showing me for 2017! 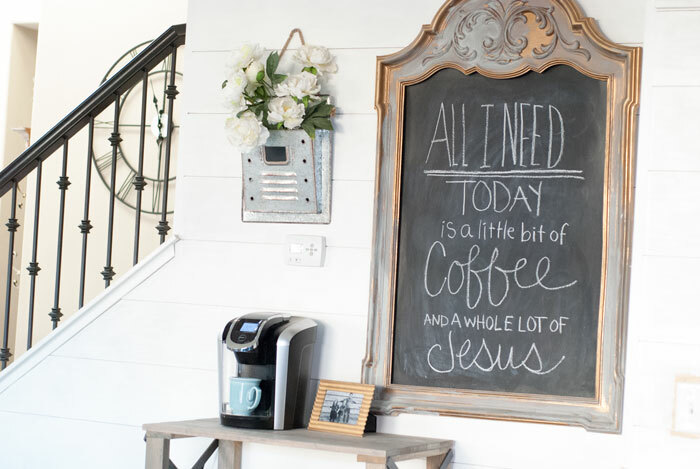 You're gonna need lots of coffee and whole lot of Jesus! With taking down all the Christmas décor last night and reflecting on how fast this year went by, I decided to start rearranging my home décor and preparing it for Spring. Winter started just 6 days ago but the Holy Spirit is reminding me of what is about to BLOOM! I see blooms in frozen places sprouting up abundantly. 2017 is going to be the year of ABUNDANT blessings and I am grabbing ahold of that word by force. Whenever the Holy Spirit drops something into my heart I declare it, pray about it and seek God for more details. I also go straight to God's written word for concrete confirmation. For example, when God told me "Abundant Blessings in 2017" I started declaring it everyday like this, "I thank you Lord for abundant blessings. I thank you Lord that you make all things new and provide everything in my life. 2017 will be fruitful. My storehouse will be overflowing! I will be blessed to be a blessing. New ideas will spring forth and you will provide all things for new adventures. In 2017 my family will have health and wealth! The devil is a liar and from this day forth he can not have ANYTHING of mine! I take power over all the power of the enemy and Host Of Heaven I send you forth to go after any hindrances that would block my blessings! The devil HAS to give back what he has stolen!" If you start declaring you will see a shift in your life. 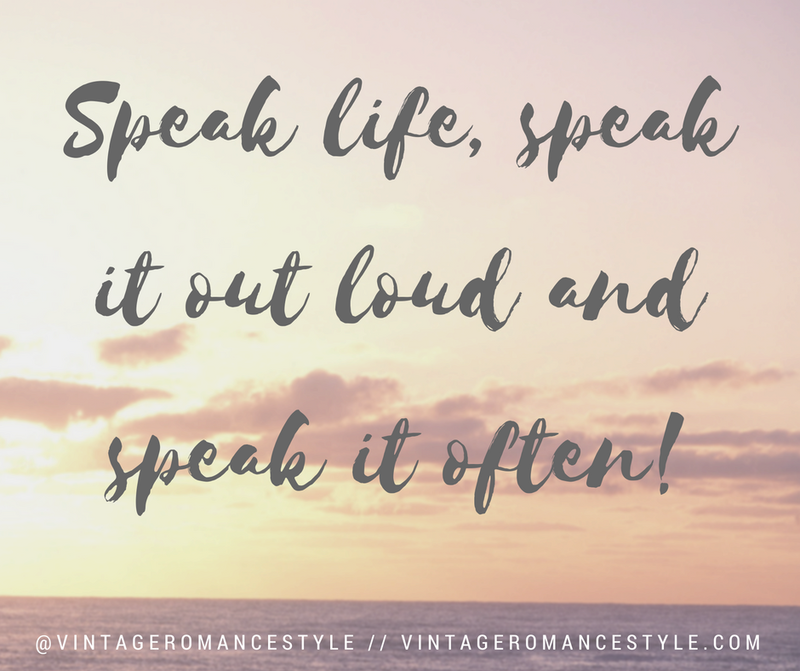 SPEAK LIFE, speak it out loud and speak it often! Remember your tongue is the rudder to your ship so for 2017, steer it in the direction of happiness! In another blog post I'll be teaching you how to receive happiness because it is a supernatural thing from God and the world does not get to take it away from you. That is beyond HUGE for me because I have struggled through deep depression through my teenage years not knowing what I was actually going through. I really have a million things to tell you that I'm passionate about so 2017 will be just that! DECOR TIP: Add flower blooms fresh or faux to constantly remind you of what God is about to do! It will also remind you to declare new things. In 2016, I feel like I didn't give you guys my best. Blogging is work and I would strain my guts out and stress myself out to produce something of Pinterest perfection. For the last year my blog was almost a burden. You know like a bad job that you dread going to? For me it has been the pressure to be perfect and have a perfect house. One day I just had this veil taken off my eyes. Perfection for what!? For who? For others? At my expense. So, I said WHO CARES! If I can't share my heart and passions and teach you something that actually is of substance, then this is all in vain. My new mission is to teach you simple ways to add more of God into your life and create a happy home filled with the love of God and family. I'm still doing DIY, I'm still doing home décor but now I'm adding heart and real life. No one is perfect and I'm certainly not. My home may look perfect in pictures but I'm just like you. In reality, every blogger is just like you, we're just running a business. God wants me to remind you that no matter what happened to you last year or how you felt mentally, things can and will only get better. You can have happiness, you can have every need met and the source of it all is the great I AM. Taste and see that the Lord is good. Ask and you shall receive, but you HAVE to ask. You have to seek. He will always show himself faithful even if it's not the exact way you wanted things to work out. Just trust Him in the crazy ride! I want to take a second and say a BIG thank you to everyone who is supporting my crazy blog idea. I have had so many of you reach out to me since I started my blogging path of teaching you DIY + living a Heaven Lifestyle. It has blown me away of how supportive you have been. Of course I have just a handful of people unfollow me, but I have gained tons of new followers just by stepping out and being bold! It's just confirmation to me that this is needed. There is sugar coated supernatural warfare out there and this blog isn't for sugar coating the truth. The revelation that I have received this past year has prepared me for my new journey and if I didn't learn what I did this last year, I wouldn't be doing what I'm doing now. It's time! I honestly had an entirely different plan for this blog post and it ended up being a long unplanned thing. I'm just letting the Holy Spirit lead and write. God is doing a new thing and I am beyond excited and feel such an expectancy in my heart. I'm looking forward to 2017 unlike any other year. So many new things will be sprouting where they were once barren. I'll be turning 30, traveling and growing deeper in my relationship with Jesus. 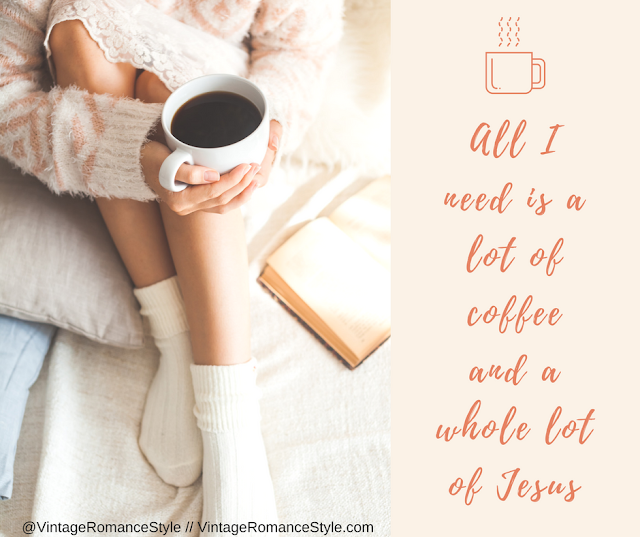 Seriously, 2017 you're gonna need a lot of coffee and a lot of Jesus for the things God is going to do in your life! I love reading your blogs and seeing where God is taking you!! A good mindset to approach the new year! God bless you and your family.